We may think that story is funny but depression is no laughing matter. According to Very Well Mind, 16.2 million adults in the United States, equaling 6.7 percent of all adults in the country—have experienced a major depressive episode in the past year. 15 percent of the adult population will experience depression at some point in their lifetime. What is depression? According to Bridges to Recovery, clinical depression and major depressive disorder, is a type of mood disorder that is characterized by negative patterns of thoughts and emotions. 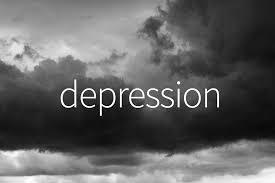 Depression causes intense sadness that persists. It causes physical pains, changes in eating and sleeping habits, irritability, difficulty thinking, concentrating and making decisions, anxiety, and suicidal thoughts and behaviors. It should not be surprising that the Bible has much to say about depression, especially in our Psalm today, Psalm 42. The Psalmist meets the definition of being severely depressed. He is not alone, neither are we. Note the psalmist’s description of himself: He mentions his countenance (42:11). A depressed person looks sad or down. A loss of appetite and frequent crying are often present (42:3). He describes his anguish as “pouring out” his soul (42:4); he felt emotionally drained. He felt as if he were in the deep, being overwhelmed by the waves (42:7). Often depressed people feel overwhelmed by circumstances to such an extent that they are immobilized. They don’t know how to cope or where to begin. The enemy’s relentless taunts felt like a shattering of the psalmist’s bones (42:10). Often physical symptoms such as headaches, digestive disorders, and chronic pain accompany severe depression. He repeatedly describes himself as being in despair (hopeless) and disturbed (anxious; 42:5, 6, 11). The psalmist feels abandoned, even rejected by God, and he’s confused by it (42:9). Feelings of guilt and rejection are common symptoms of depressed people. In addition are often fatigue, a loss of motivation to do anything, difficulty in concentrating, sleep disturbances (either insomnia or excessive sleep), and thoughts of suicide. Many people in the Bible suffered through depression and suicidal thoughts: Naomi, Job, Jeremiah, (known as the weeping prophet) Elijah, David, Jonah. and even Jesus encountered a time of depression. Some well-known Christian ministers encountered times of depression. Martin Luther, Charles Spurgeon, John Knox, John Bunyan, Lottie Moon, and even Rick Warren have mentioned specific times in their ministries when they encountered depression. While some Christians will want to deny that they can go through depression, it does happen. And it happens quite often. It’s been described that going through depression is like walking down a staircase into a dark basement. The sun may be shining outside but it feels dark inside. In addition the person can’t see the base of the staircase to get back out. Have you ever felt this way? I go through periods where I don’t enjoy things I used to enjoy; like working in the yard. I’ve had my doctor test me twice for depression and I’m not clinically depressed but by her definition, “mildly depressed.” For me I have to watch what I eat, exercise, make sure I deal with loss and disappointment appropriately, manage job stress and ask for others to help since I have a tendency to take on too many things at once. I’ve discovered that many of us have periods of mild depression, seasonal depression or high numbers on The Stress Scale due to life’s experiences, but if the depression or stress leads to you not being able to handle daily activities for two weeks please see your doctor as I did. Here are 3 steps to take, that God uses to encourage us in times of depression. God Encourages Me as I Worship Him. 2 …“When can I go and meet with God?”… 4 These things I remember as I pour out my soul: how I used to go with the multitude, leading the procession to the house of God, with shouts of joy and thanksgiving among the festive throng. “Meeting with God” and being with others in “the house of God” among those singing with joy and expressing positive emotion will help in our times of low emotion. The very thing we may not want to do, such as be around other people, and sing are the very things that we need the most. Psalms were originally songs that were sung in public worship gatherings. People say, “I can worship God on the golf course, on my boat or in nature,” which may be true but there is also something very powerful, exponential, contagious and encouraging about being with other people worshiping God. We may not want to sing but being around others that sing will lift our spirit. When I attend church and see toddler age kids and preschoolers (I don’t have any at this stage in my life), their energy and faith speaks to me. When I see others that have hard periods in life such as: troubled marriages, finances or health issues but they continue to come their faith inspires me and encourages me. I need the faith, energy, positivity from others when it is lacking in me. God uses people, praise, His presence and His word to encourage us when we are discouraged. We can’t get out of the basement ourselves, so God gives us light. Lincoln met with God and it changed his life as read the bible, attended church and prayer meetings weekly. Like president Lincoln we can be encouraged by God as we do the same. I too have been greatly encouraged as I read the Bible and see that I am not alone in my times of depression. In the next post we will see two more steps God uses to encourage us as we face depression. This entry was posted in Storm Shelter- Psalms and tagged Abraham Lincoln, Clinical Depression, David, depression, Jesus, Mild Depression, Psalm 42, Psalms, Stress Scale, worship. Bookmark the permalink.